In loving memory of Marcin Chmielecki, who passed away in Częstochowa, Poland, on 23rd February 2010, after a battle with cancer. 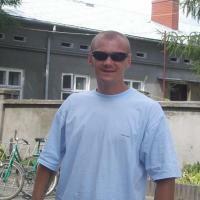 A very much missed and beloved son of Mirek and Teresa, brother of Danusia and Agata, and father of Bartek. His ashes are interred at St Roch Cemetery (Cmentarz św. Rocha) in Częstochowa, in the grave where his grandmother, Rozalia Kubacka (who passed away in 1982) is also buried.